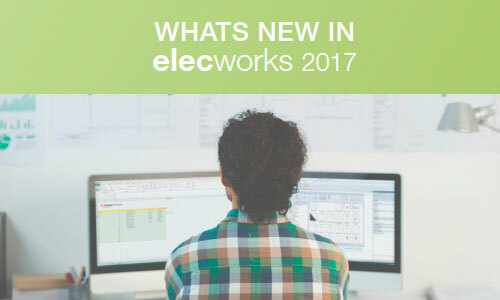 BARCELONA, Spain (November 21, 2016) – [NEWS] Available since October, elecworks 2017 includes new features and enhancements focused on improving performance and agility in designing your electrical and automation projects. For more information about the new features in elecworks 2017, you can check software help. Beside the electrical properties tab in the dockable panel, a new tab showing CAD properties is now available. 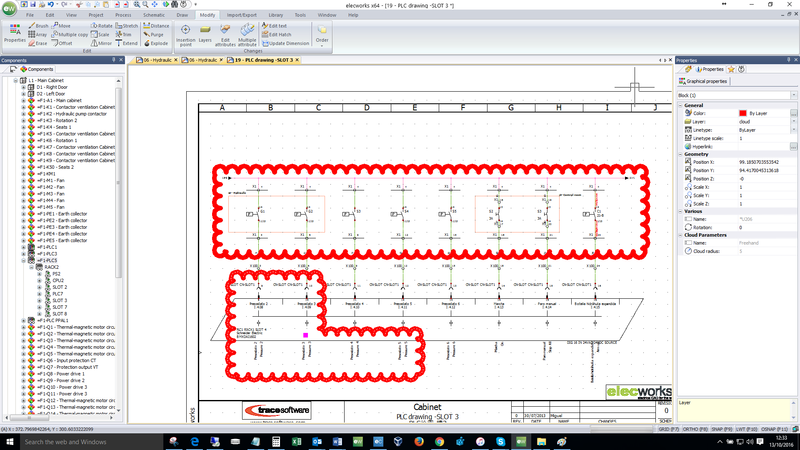 Thanks to a side menu, it is now easier to access CAD drawing tools (line, polyline, etc.). They can be used in your electrical projects. The command “undo and redo” displays now a list summarizing all your previous actions, allowing you either to go back to any of your past actions or to cancel all of them. Thanks to this record of previous actions, the user can go back directly to a specific action he would like to undo/redo. 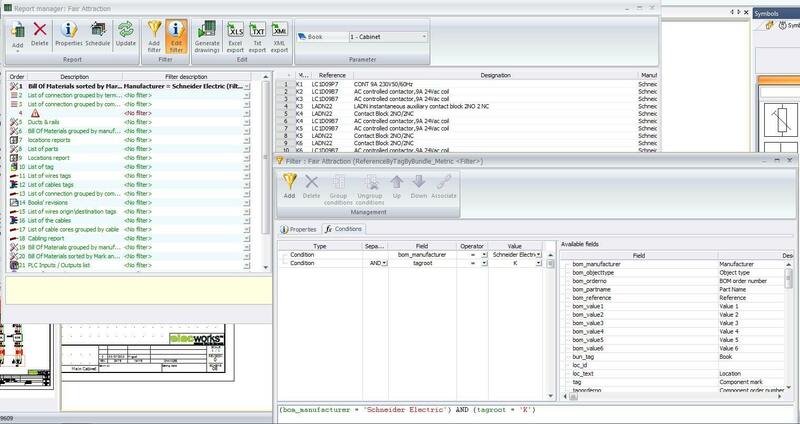 elecworks includes the capacity to generate electrical schemes in an automated way through an Excel file. 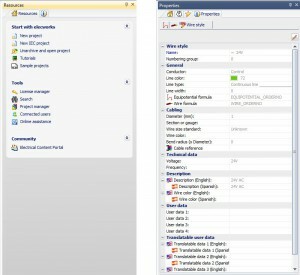 This option allows the user to get an advanced configuration of his projects thanks to the specifications he has previously created in a spreadsheet. With the software, is supplied a customizable template that the user can adapt to his needs. Thus he can generate any standard electrical project automatically considering different types of configuration. These configurations permit the creation of any type of projects by automating the process of generation and standardization of your documentation. We also have created a new graphical representation, the “revision clouds,” aimed at showing or highlighting the parts of the drawing that have been reviewed/modified. These clouds are useful to inform the user about any modification done on the project, allowing him to identify visually all the changes following the different revisions made. A new interface has been added and is aimed at renumbering all the documents of your projects such as collections, folders and drawings. This new option facilitates your work: it is now more precise and less time-consuming. This new feature allows the user to create a direct access to a document stored outside elecworks. Added to the project as a drawing or data file, this shortcut will appear in the “Documents” tab on the lateral panel. Thanks to it, the user has now the possibility to add to the project any related documentations. 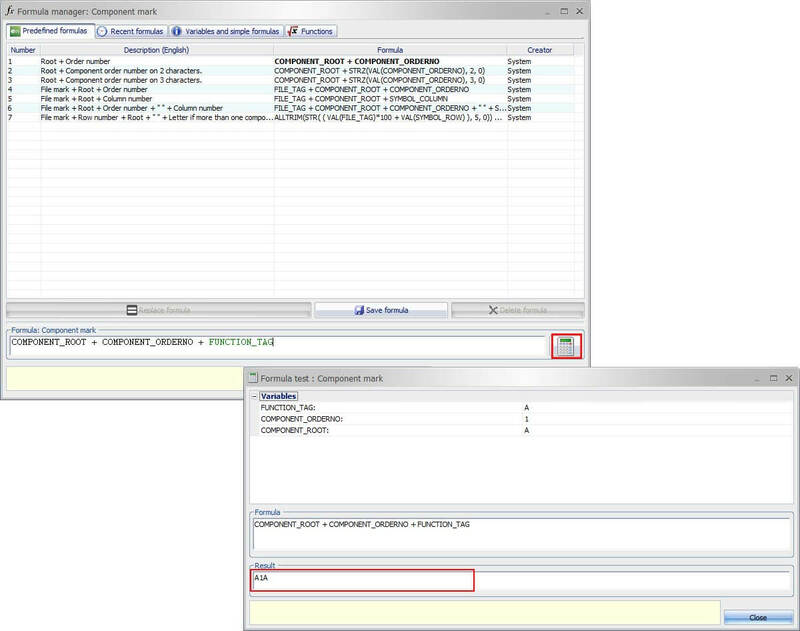 With this new version, it is now possible to define a specific insertion point to copy/paste graphical entities. The user can define an insertion point before copying entities or creating macros, and thus save time and avoid post edition. From the components tree, it is now possible to drag the components and then to either place them in a different location or change the nesting. 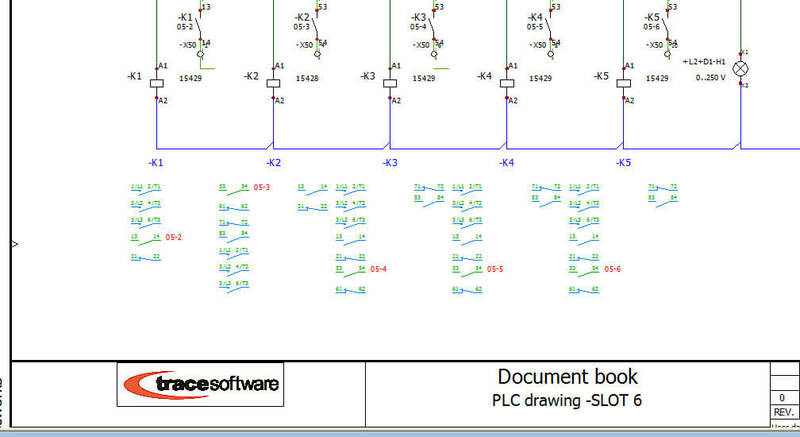 For instance, it is possible to drag a group of terminals and change its terminal strip from the component tree, or you can copy the PLC structure from the component tree without using PLC manager. With your active subscription, working in collaboration with other departments or clients is now easier than ever thanks to elec live. This unique online application allows you to view and share your electrical projects with your suppliers, customers or coworkers in real time, from anywhere. Accessible from any devices (PC, tablet or smartphone), this outstanding app is a new step for companies to ensure a better preventive and predictive maintenance of their facilities, or customer service, among other advantages. A new feature has been created to propagate data through connected objects. In other words, users can now copy an object information like the numbering of the equipotential with the terminal, or the PLC with the wire and the terminal. The goal of this new feature is to ensure that your project data are updated when your project is printed or exported to PDF. 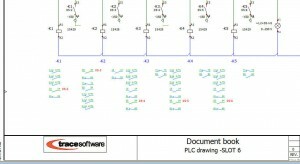 A new order has been created, designed to force the update of files – such as reports or terminal strip drawings – that are automatically generated. A new specific column in your “Reports” folder allows you to navigate to the corresponding element in the project that you would like to open or display. This new option will also be available in the “Design rules,” to make your navigation easier. Identifying, reporting and fixing a problem is now simpler than ever. With the edition mode, attribute value or description can be seen. This option can be visible or hidden. Our new version helps you edit and create symbols or titleblocks with multiple attributes. 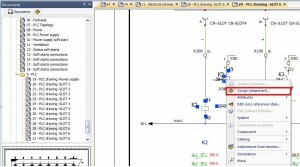 Thus it allows you to view the final result without inserting symbols or creating a new document. A super part is a special component that gathers various references under a unique material reference. When a super part is assigned, all the related references are automatically associated to the component. This will help the user being more agile when it comes to the assignation of references. 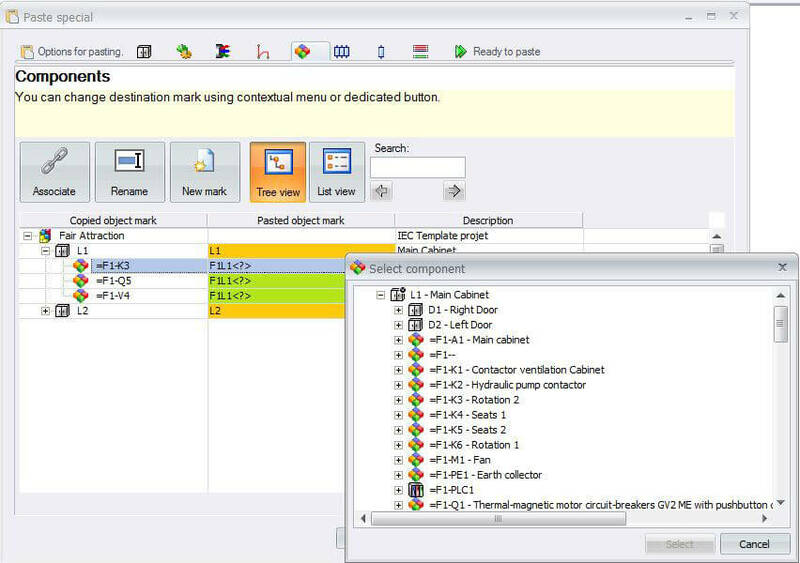 Available on our Electrical Content Portal (ECP), our macro converter allows you to convert macros from your old software in order to use them directly in elecworks. It will help you save time by avoiding to re-design the macros. They can also be shared with the rest of the elecworks community. 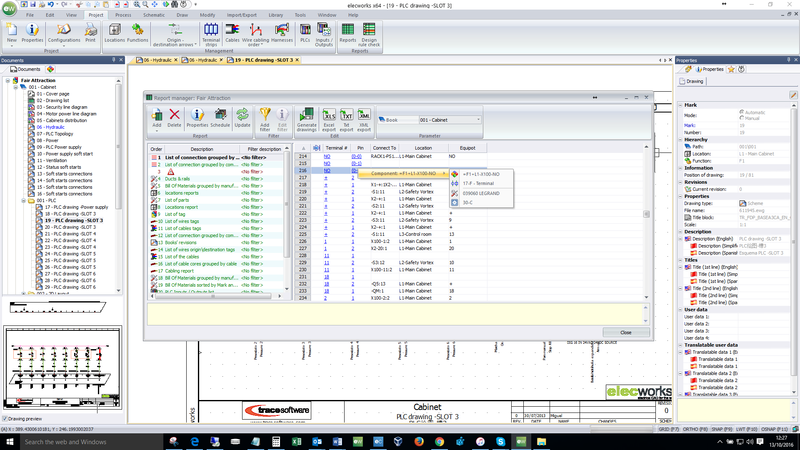 Active subscribers can download this new version from Trace Software support area. The full list of the new features and improvements of our 2017 version are avalaible in the Help menu or by pressing the F1 key. 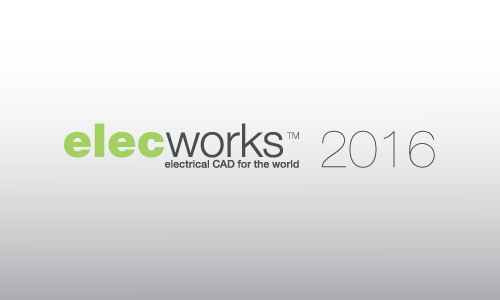 Available in September 2015, the new version of elecworks 2016 includes new features and enhancements with the clear objective to continue increasing productivity, and streamline the design process of electrical engineering and automation experts. For more information about the new features in 2016 version, you can check software help. It has enabled a new resources panel where the user can access the generic functions commonly used in any project, providing quick access. 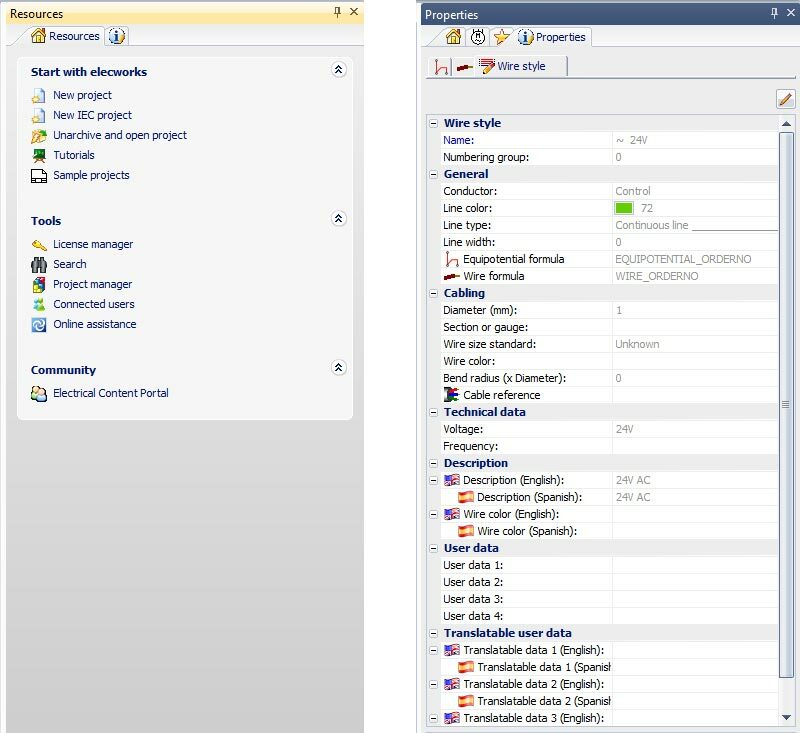 Functions integrated in the panel are: creating a new project, direct access to Electrical Content Portal (ECP), search items, sample projects or license manager access. The new properties panel will display the properties of one or more items of the same type quickly and in an organized manner. 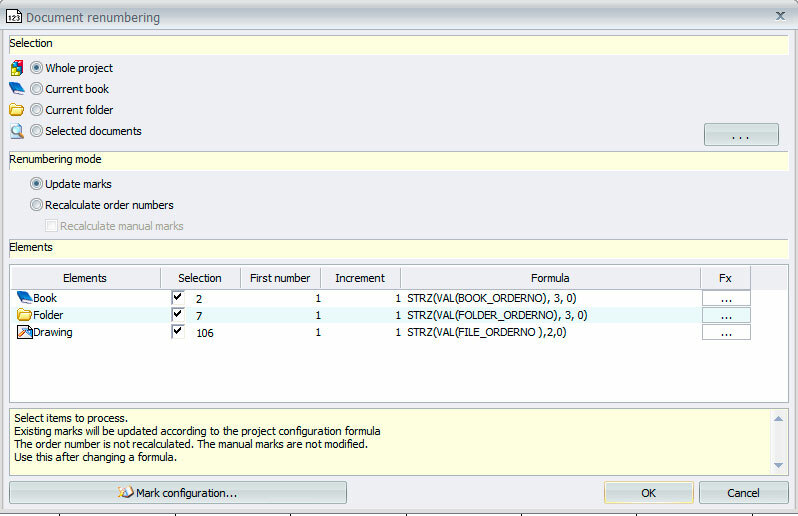 Like any properties panel, editing the data in bulk is allowed. 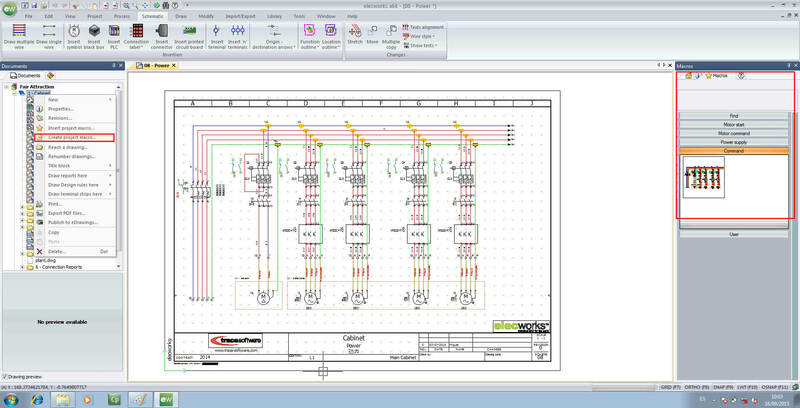 This panel is available to any electrical entity represented graphically in elecworks. Detailed paste facilitates the insertion of an item or group of items in the project, associating them to existing ones or creating new items. Their agile use facilitates cross-reference assignment between, for example, power and control circuits. Among the mapping options in the detailed paste we found the association of components to locations, functions or even the wire styles, which will be included in the new entities, improving the methodology and project development in a controlled and secure way. This new command saves time in the design stage of the project to speed up the allocation of several symbols that are in the same scheme, to an existing component in the project. 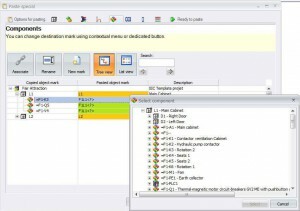 elecworks will analyse whether the type of selected elements correspond with the same classification of the destination component evaluating the association between them. For example the association between a terminal and a PLC is not allowed. 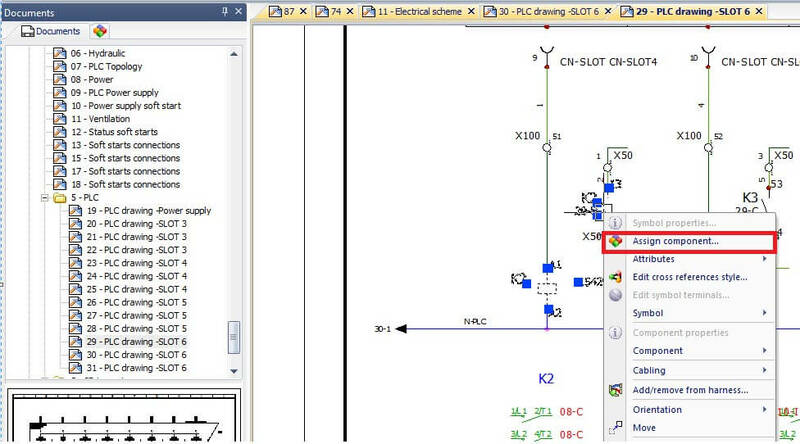 In the elecworks version 2016 the new feature “macro project” saves a set of drawings, existing inside in the same project for later use in another book or in another project. These macros can then be inserted into a book or project, facilitating the creation of modular projects and standardization and industrialization of the same. 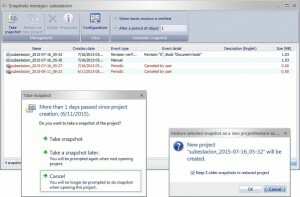 This new feature saves a project in its current state, you can make many snapshots of a project as needed. Allows backup generation of a project and its subsequent recovery. This helps in keeping a history of the project and facilitates the generation of modular projects. 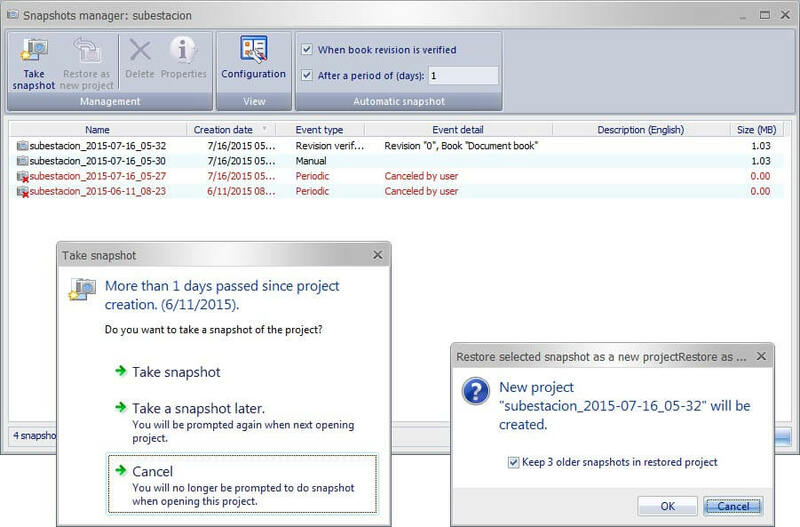 Snapshots can be scheduled automatically save the project under different conditions such as when a book has been verified, or manually modified at any time. It includes a reminder tool to alert the user, from time to time, about the need for a snapshot. Snapshots are saved in .tewzip format and can be retrieved at any time as if it were a project. 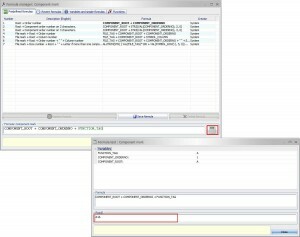 In this version the selection, copy and paste more than one book from a single project, has been improved, with more choice to control the paste process. New rights for users and profiles, such as editing books per user profile. 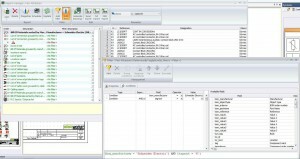 The new formula manager can achieve complex numbering by insertion of mathematical functions and custom formulas, the results of which may be tested before implementation. The glossary has been unified, increasing the number of available languages. Up to 39 languages per project in a unique translation database are now available, these can be used in new or existing projects. The new filtering options in the different reports provide specific reports in an agile, simple and intuitive way. These filters are located to be easily visible by the user and adjusted to the content of the report. 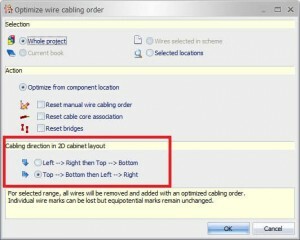 This new command provides the graphical display of the wiring order in the scheme, as defined in the database, so that the user can define and see without further steps or other additional documentation, graphically, the source and destination of the connections between components, using the nodal indicators. 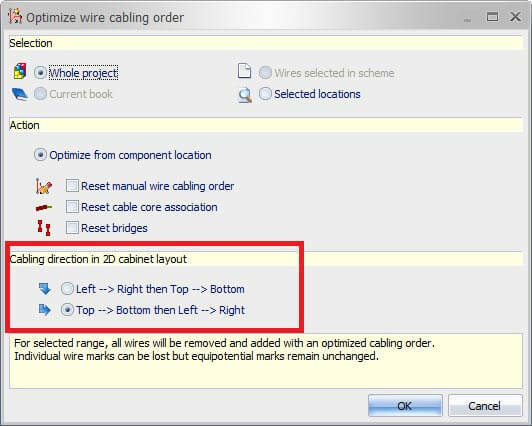 A new parameter used in optimizing the wiring, allows establishment of the sense of the sweep of components in the cabinet when connecting the different components. Customers with active subscription can download this new version from the support area of Trace Software . You can see the full list of new features and improvements in version 2016 from the program’s help, accessible from the Help menu or by pressing the F1 key.